We wanted to be sure we had time to enjoy the Piemonte hills and Languedoc wines. 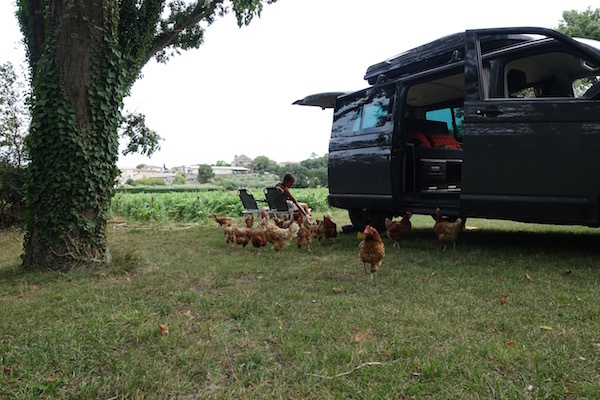 We needed a quick dash across France after our relaxing days in Rome so that we could arrive in Bordeaux in time to meet up with friends at the start of their summer long travels through western France and Spain. First one last stop in Italy, in the Piemonte hills above the coast between Genova and Ventimiglia. We never seem to learn and made the mistake first of thinking that we could find somewhere in one of the coastal towns but after slow progress through traffic along the coast road and stopping outside several camp sites that looked more like camper storage places, we admitted defeat and headed to the hills. At Campsite Terra Rossa we found a peaceful place scattered amongst the trees on a hillside, with a pizzeria restaurant below. With perhaps only six pitches occupied, we checked if the restaurant was actually open and would the wood fired oven be producing pizzas that evening. We were assured it would be and when we walked down the hill later that evening and rounded the corner to the restaurant, we got quite a surprise; the restaurant was packed, it looked we had found THE pizzeria in the area. A need to wait for over an hour for a table meant we had time to enjoy more of the local wine and watch the buzz in the restaurant. Finally the pizza chef emerged with our Buffalina and Quattro Formaggi pizzas that were fantastic, the best of the trip and certainly worth the wait. We left Italy replete and content the following morning with our France Passion book pointing the way to a small chateau in Languedoc. Mas Montel Chateau proved to be a fascinating location with wonderful Languedoc wines, we are sure we will not find easily outside of France. We had a very informative and enjoyable wine tasting which included pretty much all of the local produce from the vineyard! We bought as much as we could fit in the fridge in our van (the warm temperatures still meant our wines needed to be kept chilled). The evening provided another spell-binding experience, a fairy tale place with us the only people choosing to camp there, though five spots are available in front of the rustic old chateau. During the night we even had access to one of the old cellars where the generous host had set up a bathroom for France Passion visitors. We made friends with the chateau’s chickens as they wandered around our table, disappearing into their pen just before sunset. After a wonderful picnic on the lawn, we danced in the light of the moon to Glen Miller Big Band music, no pictures of this of course but take it from us it was an evening we will cherish for a very long time. 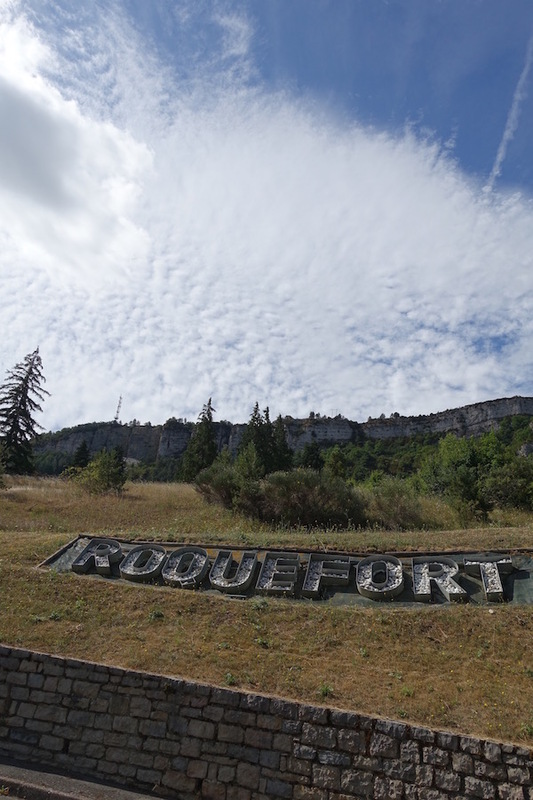 We emerged early from our dream world with the long road over the south of the Massif Central ahead of us and the intriguing prospect of stopping in Roquefort to pick up some delicious cheese and then on to the Bordeaux region.